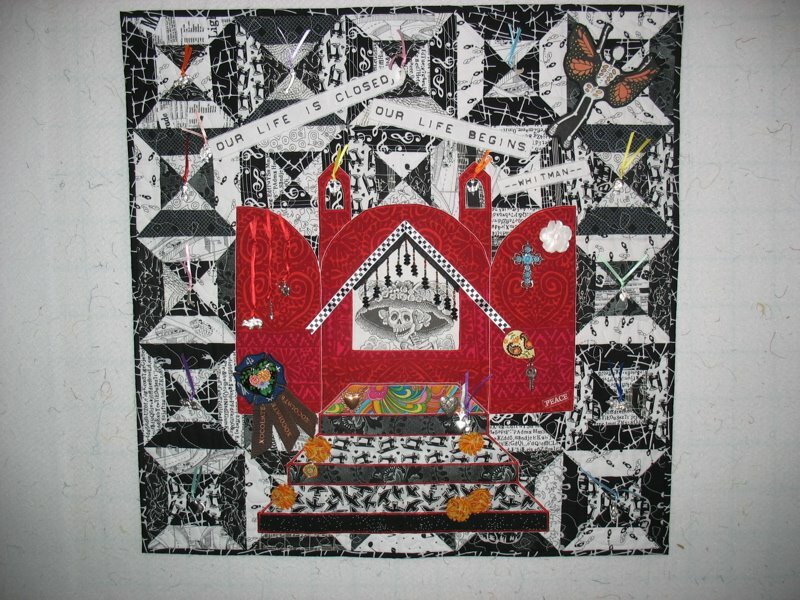 June | 2008 | OccasionalPiece--Quilt! Posted on June 20, 2008 by Elizabeth E.
I was in a Black-and-White challenge for my guild back in Virginia and the challenge arrived near October, when the Day of the Dead (DoD) was on my mind. 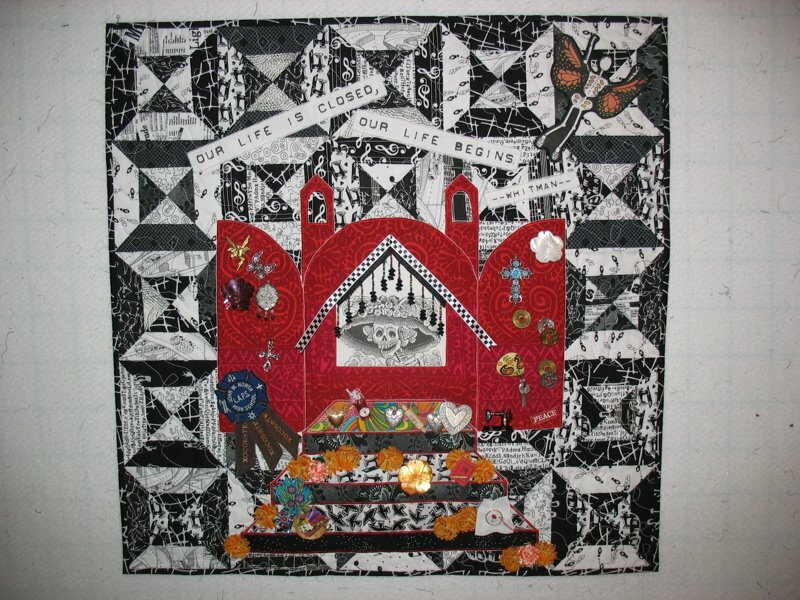 I printed off the ancient Catrina drawing, took my cues from discussions of D0D altars (always 4 levels, with food, marigold blossoms, offerings) to gussy up the quilt. I sent it off, but wasn’t entirely happy with it. So I gave her a Spring Cleaning when it came back. I found milagros from a store in Phoenix, took off most of the offerings and hung the silvery charms around the quilt. Better, but as usual, still not satisfied. It will have to do for now.